Siborg Systems Inc. will be offering a new model of Smart Tweezers with Bluetooth capabilities in mid-May, the ST5s-BT. This is the first upgrade to the ST-5S, which will allow users to remotely log their measurement results with a compatible device. This will be more efficient by letting users keep track of their previously measured components rather than re-measuring each time. 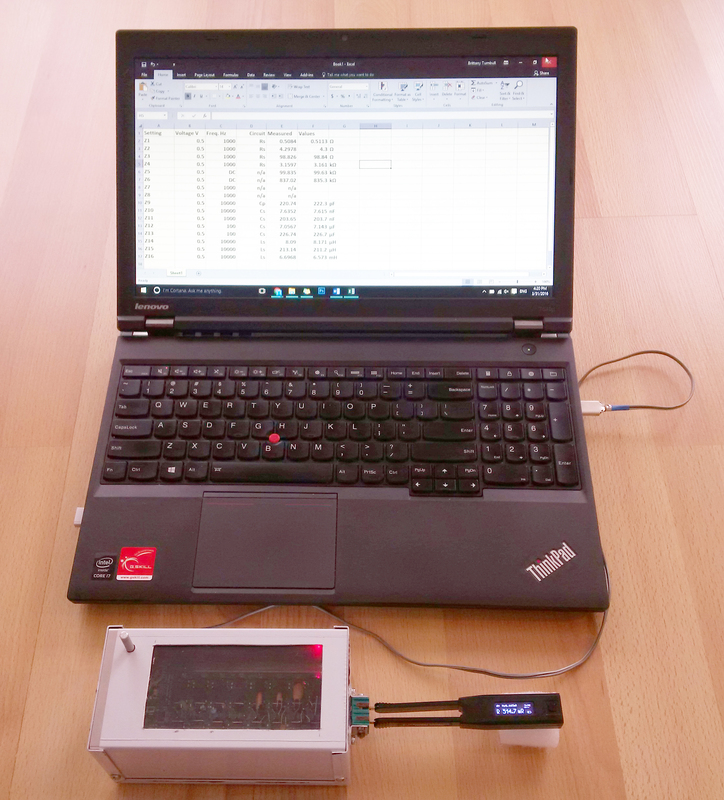 The Bluetooth is connected using a USB receiver stick that establishes a virtual serial port. Measurements results are sent using a string of comma separated values that represent the measurement results. C(main impedance value type)1.398nF(main impedance value),R(secondary impedance)3.461kR(secondary impedance value),10kHz(test frequency),0.5(test signal level),S(measurement mode, in this case, serial), followed by 4 reserved values. This information is then sent to the port and is received by any communication software. 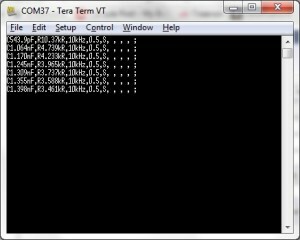 For example, the photo shows the free Terra Term software receiving data. This data can be save into a file or documented. If the LabView software is being used, it can process and store the data in a database as needed. 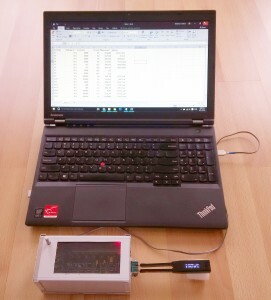 The Bluetooth connection will be supported by an NI VISA instrument driver in the NI LabView® environment. Eventually the device will have Apps for the Windows, Android and iOS operating systems. 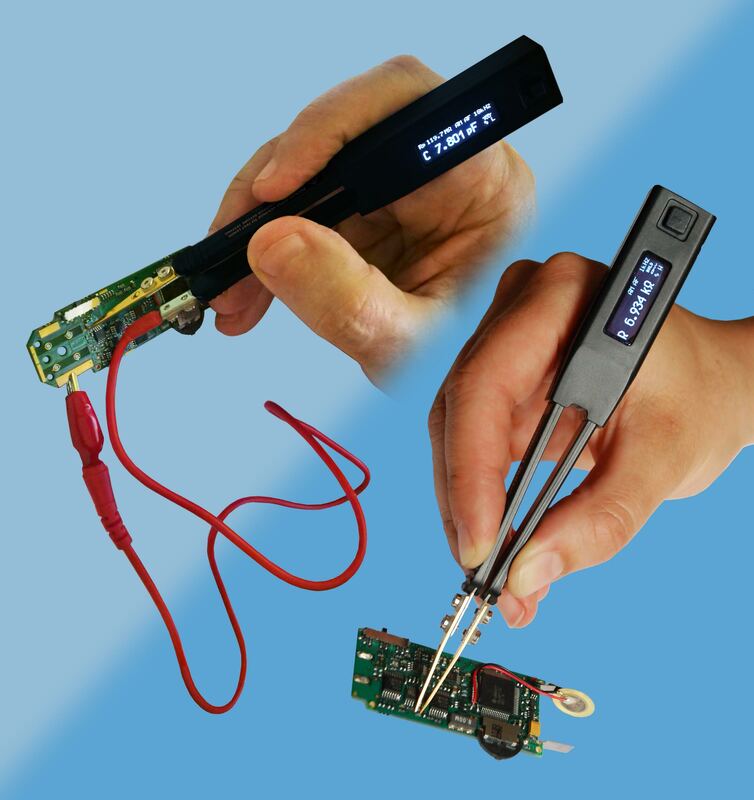 Smart Tweezers ST-5S is a hand held LCR-meter with high accuracy and plenty of features for specific tasks. These features include: fully automatic LCR and ESR measurements, variable tolerances and test signal ranges, basic accuracy of 0.2%, component sorting, diode and continuity testing, and offers a 4-way joystick-like-navigation that allows basic settings to be changed quickly on the default screen. The new ST5S-BT will be available starting mid-May from Siborg’s LCR-Reader Store and Amazon sales channels in USA, Canada and Europe. Siborg has been working over the past year with the Institute of Automation and Electrometry at the Russian Academy of Sciences in creating a Calibration Fixture that will allow periodic calibration of all models of Smart Tweezers, and, most importantly, the LCR-Reader. The calibration fixture was then sent to Navair Technologies in Toronto, Canada to be verified. With this verification from Navair, Siborg will soon be able to include calibration certificates with LCR-Reader, which was a main hindrance in companies using the device. The calibration unit utilizes a 4-wire connection which has been found to reduce noise between connections and the PCB within the calibration fixture. Previous calibration fixtures used a 2-wire connector which worked well for older models of Smart Tweezers, including the ST-1, ST-2 and ST-3. The 2-wire connector was not able to handle the measurements within the LCR-Reader and Smart Tweezers measurement ranges. Due to parasitics, it could not measure lower values of capacitance and inductance and higher values of resistance. Therefore, the 2-wire calibration fixture was only able to measure mid-range values. The calibration fixture uses 14 known components that lay within the range of measurements. When a device is connected, the fixture will signal a different component with each button push. 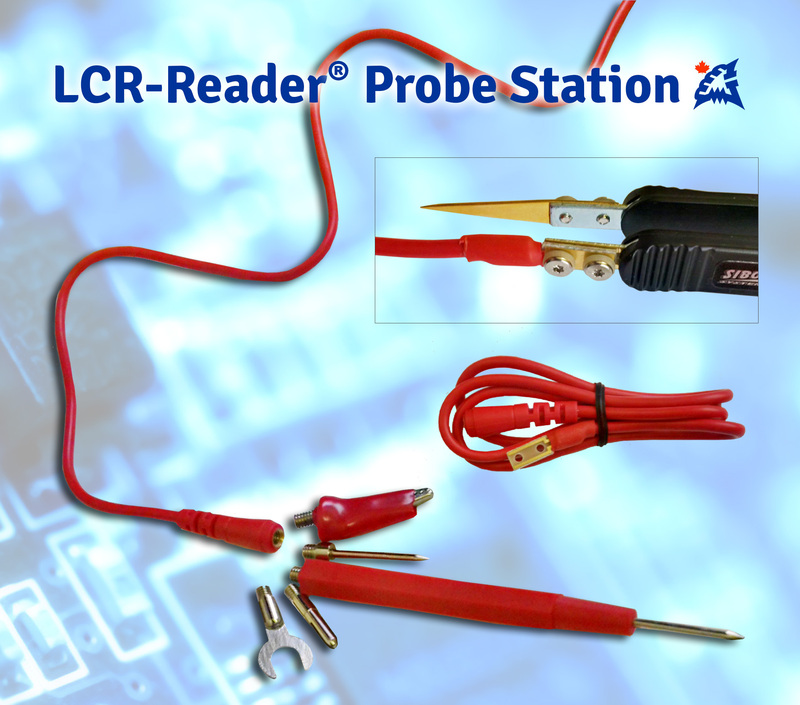 The measurement values are instantly displayed on the LCR-Reader or Smart Tweezers’ display which can then be compared to the known values of the components to determine accuracy. “The new fixture makes it much easier to provide periodic traceable calibration now that it has been certified by Navair Technologies. We have now completed two versions of the calibration fixture using both 4-wire and 2-wire connections. The 4-wire is best suited for newer models, including the recent LCR-Reader. The 2-wire is best for the older models, including the ST-1, ST-2, ST-3 and STIC. These older models used a 2-wire connec tion in the handles of the device and could not be properly tested with the 4-wire terminal. This new calibration unit will allow all models to be tested and calibrated.” says the Director of Research and Development at Siborg, Michael Obrecht. Soon, the calibration certificates will be available in the LCR-Reader Store; there will be 2 types to choose from: a basic calibration certificate that ensures the device has been calibrated, or a more detailed format that shows the measurement results compared to the known values.